Pinterest is home to millions of DIYers, crafters, fashionistas, foodies and more. And this year, the popular inspiration platform reached 250 million monthly active users. If you’re looking to promote your website, products or content on the platform, it’s best to know the right steps to take for success. What does Pinterest allow you to do? As a user on Pinterest, there are really only a few important things that you can do with your content. It’s pretty straightforward, but there’s much more to it than this. These simple actions allow business all over the world to share their content with likeminded people who may repin and spread their content even further — organically speaking. Pinterest has also been linked to improved SEO, as Pinterest is essentially a pool of backlinks to engaging content. Pinterest is so powerful because you can connect with niche audiences that are actively seeking content like yours. As you might expect, a business account and a personal account are completely different. To set up your business account, head on over to Pinterest and click Create a business account at the bottom of the login screen. Add a business email (ideally), a password and the business name along with the type of business your company associates. Once you’re logged in, fill out all your necessary business settings. Assign a username to your account but pick one that resonates well with your company name. Your username is what appends to the end of the Pinterest URL. Profile images on Pinterest are 165 x 165 pixels. Companies often neglect to fill out the About section on social platforms, but this is the place where you can let customers know what you offer and utilize keywords to help you show up more in search. Claiming your website through Pinterest gives you access to attribution and analytics for your content. To claim your website, input your domain. 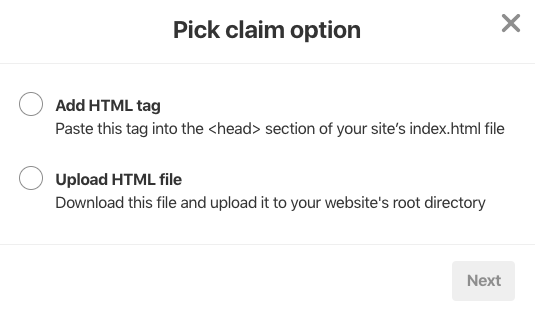 You’ll be given a couple of options to claim your website, either through an HTML tag or an HTML file to add to your site. Upon setting up your account, you’ll want to identify boards and topics that describe your business. For example, if you’re an interior decorator, you’ll likely choose Home Decor, DIY Home Decor, Design and Furniture. This helps Pinterest find relevant content and people/businesses to follow. Begin building boards to categorize and curate your content. Let’s stick with the interior decorator example. You might create a few boards titled Living Room Inspiration, Affordable DIY Projects and Dream Kitchen Decor. Follow relevant companies and people. Start making connections with companies you have relationships with already or experts in your industry with large followings. You can also search relevant accounts by keyword and select People in the drop-down next to the search bar. Now that you’re set up with your business account on Pinterest, it’s time to create some boards and build your Pinterest reputation. Give your board a proper name. Make sure your board’s name encompasses all the curated pins you plan to share. Get creative with your board names and keep them consistent with your brand. Write compelling, keyword-rich descriptions. Don’t neglect to give your board a proper description, being sure to utilize keywords as this helps your board stand out in search. Categories are key. Assign a category to your board that best describes it. Give the board a cover. Ideally, this should be a cover that encompasses the look and feel of the board as a whole. To do this, navigate to the board and click on the pencil in the top to edit. You can then assign or change a cover as needed. You can create various sections called Lighting, Fabrics, Patterns and so to organize your pins. Share relevant, striking content. Stay current and consistent with your boards. 1. Pin high-quality, striking images. The key to Pinterest is sharing content that is tall and sleek. That’s why infographics do especially well on the platform, along with step-by-step images. You can create striking images with tools like Canva or Infogram. Don’t create images that are too tall. Pinterest is cutting down on pins that take up too much space as that was a major problem on the platform in 2017. If you’re using images with text, keep the text to a minimal. For multi-image pins, four or fewer is best to minimize clutter. 2. Follow Pinterest’s image requirements. As with any social network, there are best practice dimensions to follow. Read up on Pinterest’s latest specs here. For promoted pins, read up on Pinterest Ad specs. 3. Write a description that tells a story. While Pinterest is a visually heavy platform, your pin descriptions should also be rich with content. Go beyond a simple description. Tell a story and explain the content your sharing. 4. Use hashtags and keywords. Pinterest, like many networks, runs on hashtags. Share hashtags in your description to show up better in search. That goes with keywords in general. Create Rich Pins. Rich Pins make your pins even more useful with additional content. They’re especially ideal for recipes, products, articles or apps. Rich pins make in-app shopping even easier with real-time prices, availability and location. You can take your pins one step further by promoting them. This helps your content reach an even wider audience based on targeting specifics you identify. Clicking on the pin you wish to promote. From there, choose to update your pin info. Set a daily budget (this is how much you’ll pay each day while your ad runs). Add keyword targeting and there you have it — a beautiful, promoted pin for the masses. Related: How much does it cost to advertise on Pinterest? Pinterest has one of the more robust native insights. The Overview section is your analytics dashboard. From here, you can access your profile data and the people you reach. If you have confirmed your website, you can see even more such as clicks and activity directed to your website from Pinterest. In the Overview section, you’ll also be able to see your Top Pin impressions, which are the top pins that have made it in front of other users. This is a great indicator to determine which content your audience is most receptive to. Impressions includes the daily impressons and daily viewers (unique users). Along with Top Pin impressions, your profile analytics will also break down the top boards with the most impressions, too — a good indicator of which boards perform well and which might need some more love. Saves are considered your repins. This is the number of times people have saved your content to their boards. Clicks, of course, count the traffic coming from Pinterest to your website. All-time is a mix of most saved content, best in search and power pins (high engagement rates). All-time data really gives you a feel of what your audience responds best to, so pay attention to this tab when making content decisions on Pinterest. This tab is a general audience insights section. You can track and monitor your average monthly viewers and those who’ve engaged. You can filter by device and your followers or all audiences. Pinterest has recently revealed Audience Insights, which dives a little deeper than the last tab. Audience Insights covers categories, interests, sub-interests, demographics, location and device. 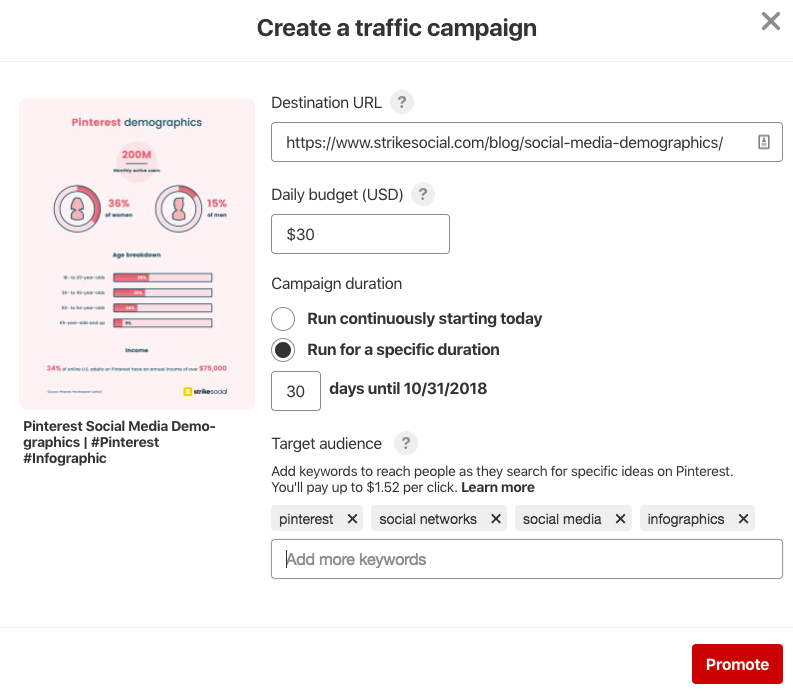 What makes Pinterest’s Audience Insights so powerful is the ability to compare your following to Pinterest’s total audience. This helps you gauge how your content stacks up against others on the platform and identify areas of improvement. Pinterest is a simple platform, which is why it works so well. But to become a power pinner, there are best practices and guidelines worth following. Adding Pinterest to your plethora of social media accounts can be daunting and sometimes, keeping up with posting gets away from us. Be sure to set up a consistent schedule and pin frequently. There are many tools out there that can help you schedule out your pins organically, like Tailwind. This might seem conflicting to the above mentioned, but there’s a fine line to walk between pinning and pinning too much. If you’re always pinning, your content will seem unnatural and forced. So how often should you pin on Pinterest? We find that 10-12 pins a day see the best results. Some companies even pin more. Three to five pins a day will suffice for slower content days. At the end of the day, remember that it’s all about relevance. If you’re pinning just to pin, you won’t see the best results and you’ll most likely lose followers. Leading us into our next rule, don’t forget that repins can count toward your daily Pinterest activity. Repinning is a method of discovery for your audience. Just as with any other social platform, curating or repinning third-party content that relates to yours is best practice. This helps others discover your brand and you’re providing value to users through relevant, curated pieces. Believe it or not, repinning on Pinterest is much more lucrative than sharing only your content. Studies have shown that you should actually repin 80 percent of content and only share 20 percent of your own. Pinterest is easily one of the most friendly social networks and engagement is always welcome — and beneficial to your brand. Start commenting and liking pins relevant to your content. Leave feedback or opinions on other pieces to start getting in front of more of your audience. Pinterest has one of the highest mobile usages with 80 percent of overall users accessing the platform through a mobile device. Pinterest is also widely known as an in-store inspiration app, which means you can account for even more mobile use. Unlike LinkedIn or Facebook, Pinterest’s user base is active around the clock — in fact, they’re most active after work or on weekends. Users on LinkedIn and Facebook are most likely to check those platforms during the day, but Pinterest inspires people at all hours. So don’t leave out pinning between midnight and 4 a.m. While you’ll be able to capture people in different time zones, you’ll also get in front of the night owls scouring Pinterest. So when is the best time to pin? According to several sources, the best time to pin is actually on Saturday between 2 a.m. and 4 a.m. That doesn’t mean that this is the best time for every topic or industry, however. We recommend testing out different times and thinking critically about your audience. Let’s say your audience consists of 9-5ers. We can assume they’re likely pinning before or after work. 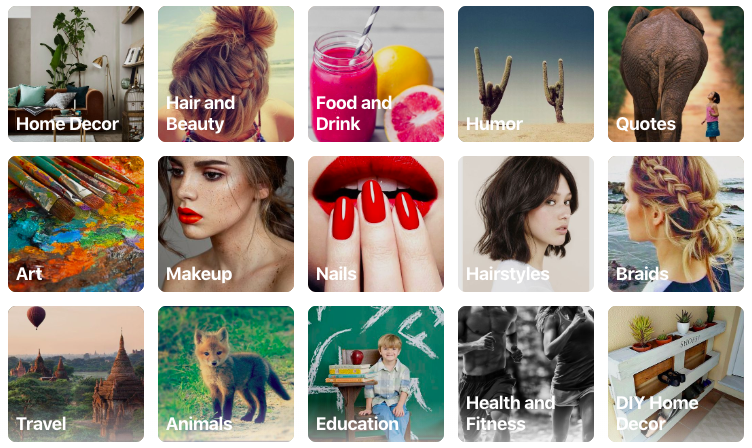 Pinterest distributes content in multiple ways. First, it distributes pins for your followers, then the feed scatters your pins based on quality and relevancy. 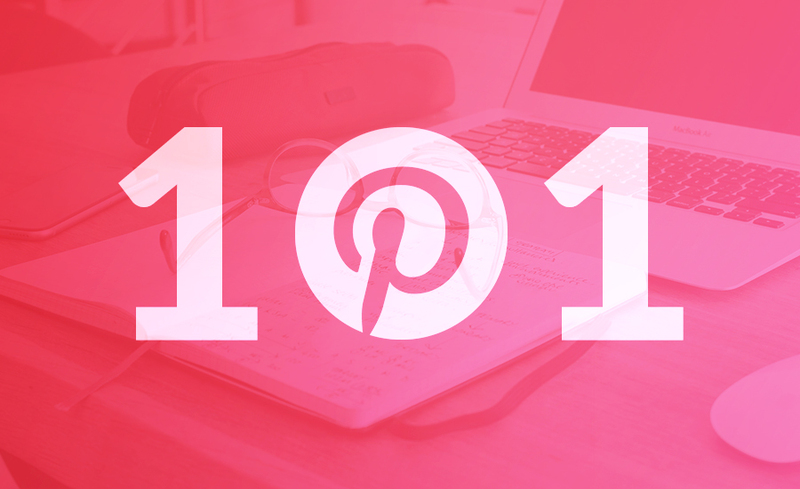 In other words, Pinterest prioritizes content that your followers engage with. What does that mean? It means your followers essentially decide if your content shows up in the search. That’s why we recommend testing various pins and how you share them. Consider pinning your most important owned content first, then sprinkle in other owned pins or repins throughout the day. Timing seems to be a heavy topic with all social networks, and while timing on Pinterest is still very important, its algorithm relies heavily on the quality and how well you optimize your content. Pinterest a highly visual platform that serves vastly different purposes from other social media networks. It’s an exploratory medium where users come to find inspiration and new ideas. Make sure your content falls in line with Pinterest’s core demographic and interests that your audience is most likely to respond to. Take these tips and best practices and start testing your pins to find what works best for your brand.